Free Market Fairness (2012) | Moral Markets? "Can libertarians care about social justice? In Free Market Fairness, John Tomasi argues that they can and should. Drawing simultaneously on moral insights from defenders of economic liberty such as F.A. Hayek and advocates of social justice such as John Rawls, Tomasi presents a new theory of liberal justice. This theory, free market fairness, is committed to both limited government and the material betterment of the poor. Unlike traditional libertarians, Tomasi argues that property rights are best defended not in terms of self-ownership or economic efficiency but as requirements of democratic legitimacy. At the same time, he encourages egalitarians concerned about social justice to listen more sympathetically to the claims ordinary citizens make about the importance of private economic liberty in their daily lives. In place of the familiar social democratic interpretations of social justice, Tomasi offers a "market democratic" conception of social justice. 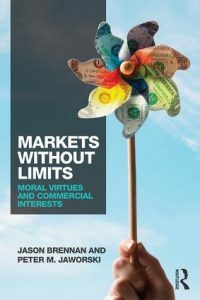 Tomasi argues that 'free market fairness', with its twin commitment to economic liberty and a fair distribution of goods and opportunities, is a morally superior account of liberal justice. It is also a distinctively American ideal. It extends the notion, prominent in America's founding period, that protection of property and promotion of real opportunity are indivisible goals. Indeed, according to Tomasi, free market fairness is social justice, American style. 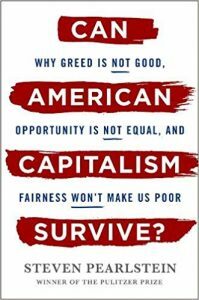 Provocative and vigorously argued, Free Market Fairness offers a bold new way of thinking about politics, economics, and justice--one that will challenge readers on both the left and right." "It isn't entirely clear how market democracy would function in the policy debates of the moment. Mr. Tomasi's book is emphatically a work of political theory, not a blueprint for political action, much less a catalog of policy solutions. He does believe though that market democracy offers a way out of our either-or political debate, which at its extremes pits the Tea Party against the Occupy Wall Street movement. Market democracy would make the welfare of the very poor a top concern but would find little justice in mere wealth redistribution. Yet choosing sides is not what Free Market Fairness is about. Its aim is to question opposed modes of thought and find a way between them." "Tomasi's book is a useful corrective to both Rawls and Hayek. Any liberal theorist who wants to build an account of economic justice on Rawlsian premises will have to take account of Tomasi. Any conservative who wants to invoke Hayek should recognize that Hayek offers no basis for rejecting redistributive taxation and expenditures. [...] At the level of policy, however, Tomasi becomes vague and weak. 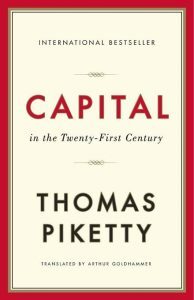 Other than the rejection of some of Rawls's crankier suggestions, such as his embrace of worker cooperatives (an idea that hasn't had much appeal to actual workers) -- Tomasi's criticisms here are devastating -- the elevation of economic freedom to the level of a basic liberty doesn't entail much about the legitimate scope of regulation or redistribution. That would depend on how unregulated markets actually work. Tomasi, however, repeatedly embraces poorly formulated, inadequately defended libertarian policy prescriptions." "In Free Market Fairness, Brown University political philosopher John Tomasi describes himself as setting off on a quest to thaw the frozen intellectual sea that separates libertarians and classical liberals from Rawslian liberals. He half succeeds. Tomasi shatters the ice encasing the Rawlsian liberals, setting them free to drift toward the libertarian shore. However, his ice breaker does not have the power to reach the opposite coast and runs aground on the icy shores surrounding the libertarians. The fact that I attribute only partial success to Tomasi's efforts should not be regarded as a negative evaluation of his book. 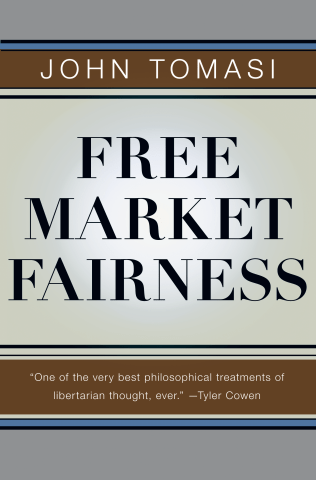 Free Market Fairness is both an excellent book and an important one. What makes a work of philosophy valuable is not that it arrives at all the right conclusions, but that it asks the right questions, makes us think, and causes us to re-examine our assumptions." John Tomasi is professor of political science at Brown University, where he is also the founder and director of Brown's Political Theory Project. Tomasi holds degrees in political philosophy from the University of Oxford and the University of Arizona. He has held visiting fellowships and positions at Princeton, Harvard, and Stanford universities, and at the Freedom Center at the University of Arizona. He is also the author of Liberalism Beyond Justice; Citizens, Society and the Boundaries of Political Theory (Princeton).